I received a lovely surprise today from Martha at www.thecardboutique.blogspot.com. 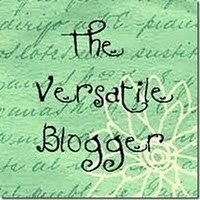 She sent me the versatile blogger award! Please stop on over to her blog and check it out!! Martha is very talented and has great ideas and inspiration to share. Thank you Martha, I really appreciate the award!!! 1. I love digital stamps! 2. I enjoy talking to and sharing ideas with other crafters! 4. I love shopping for more craft supplies! 5. Love working with Copic Markers! 6. Love working with the ladies on my DT groups! I would like to share this award with the following bloggers: Please stop by each one and check them out. They are awesome and have a lot of crafty ideas to share! Congrats on your award Dawn!!! and thank you for sharing it with me! It sometimes takes me awhile to get awards posted but I will! CONGRATULATIONS Dawn! I love to see what you have been creating. And when you share new sites for me to check out. Dawn, thank you soooo much for the award!!!! Thanks so much for the award Dawn!! Congrats on your award Dawn! Thanks for sharing the award with me! !